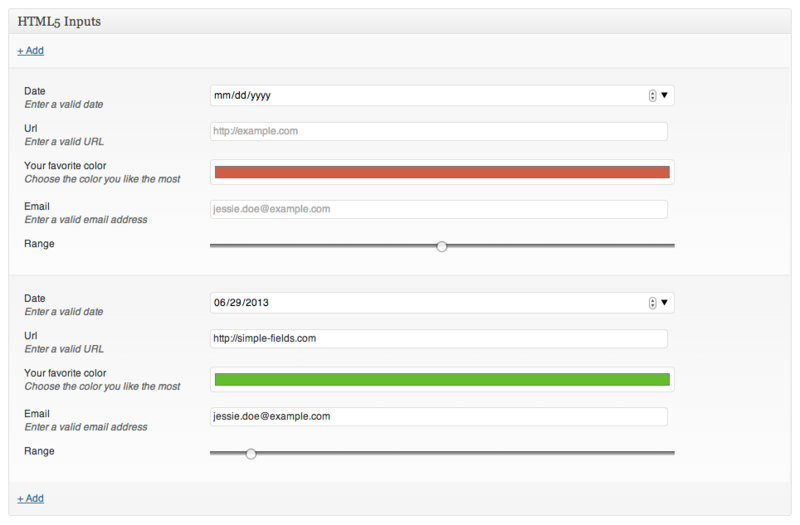 The settings pages is now a bit nicer and more WordPress-ish loooking. Also has more useful info added to them. Oh, they are really nice indeed. 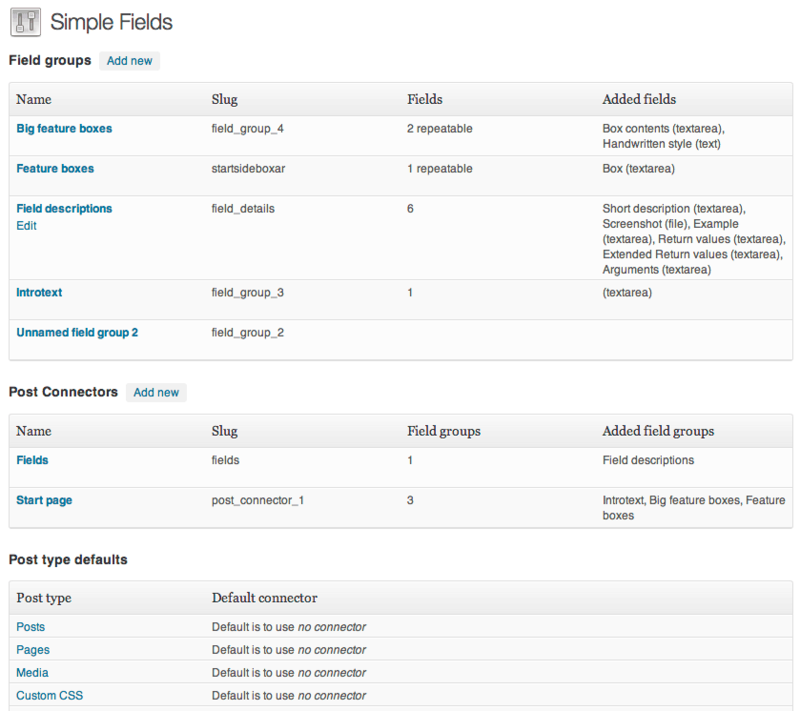 Lots of filters added, making it possible to customize Simple Fields using plain PHP. Like choosing a post connector for a post based on it’s post type or what categories it belongs to. Cool stuff. You can grab the latest version over at WordPress.org and there’s also a more detailed change log there. For bug reports use GitHub or the WordPress support forum. 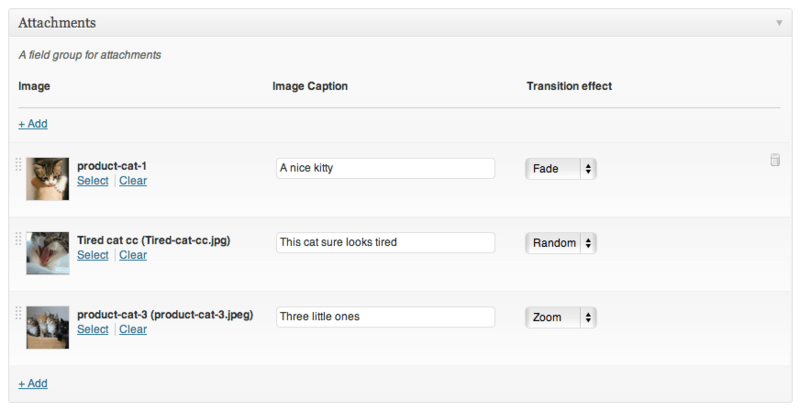 Filters in WordPress are awesome. I’m not quite sure why it took so long for them to arrive in Simple Fields too, but they are here now for sure! * or a visitor is visiting a post of type "products"
The changelog has a list of (hopefully) all of the filters. To enable the table view just go to one of your field groups an tick the new “Use table view”-checkbox. Ok. That’s it for now. Hope you’ll enjoy these new functions. This entry was tagged attachments, change log, code example, color, date, email, filters, gui, html5, image slideshows, new features, range, text field, textarea field, updates, url. Bookmark the permalink. This is looking fantastic. Thanks for the update.